There are 120 elected members of the California Legislature. They are in session nine months out of the year, deciding the fate of thousands of bills. Committee hearings and floor sessions of the Legislature’s two official houses – the Senate and Assembly – are generally live-streamed on the internet or on cable television. But what you won’t see on your computer or TV are the activities of what’s known as the “Third House.” The phrase refers to the army of lobbyists whose presence in the state Capitol is just as permanent as the 40 Senators and 80 Assembly members – even more so because lobbyists don’t have term limits like legislators. There are more than 1,400 lobbyists – nearly 12 for every legislator. Their job is to bring home the bacon for their clients. That means getting the Legislature to pass or kill bills, depending on the interests of their clients. Lobbyists even get legislators to introduce bills on behalf of their clients. These are called sponsored bills. No one really tracks the number of sponsored bills but one investigative piece by the San Jose Mercury News in 2010 found that during the two-year legislative session of 2007-2008 more than 1,800 bills, about 39 percent, were sponsored by outside interests. The Mercury News also found that sponsored bills fared much better than those without a sponsor when it came to being signed or vetoed by the Governor. The 2017-2018 legislative session ended on August 31 and I couldn’t say how many bills were sponsored. However, it’s a safe bet to say they took up a good deal of the Legislature’s time and attention while the 463 lobbying firms doing business in the Capitol raked in tens of millions of dollars. Sponsored bills come from many sources; government agencies, non-profit organizations and private industry. More often than not, sponsored bills by private industry are crafted narrowly for the sole purpose of private gain and profits rather than public good. There are some bills, however, either sponsored or originating in a legislator’s office, that are aimed at improving the every-day lives of Californians. Several of those bills are now before the Governor and we are hoping he signs them. • AB 2381 by Assemblymember Wendy Carrillo (D-Los Angeles) would provide for new tools and additional resources for catching cheaters on vehicle emission tests – an important step in protecting Californians from air pollution and meeting our state’s clean-air standards. • AB 2447, the Vulnerable Communities Inclusion Act, by Assemblymember Eloise Gomez Reyes (D-San Bernardino) would advance environmental justice and civil rights for communities most impacted by environmental degradation by establishing meaningful public notice and meeting requirements that for land-use projects in or near disadvantaged communities that are likely to result in adverse impacts. 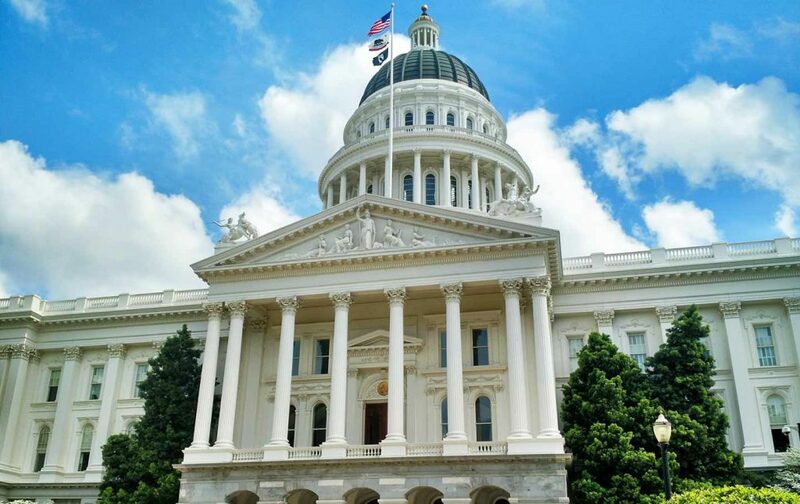 • AB 193 by Assembly member Sabrina Cervantes (D-Corona) would create an electric vehicle battery assurance program for low-income electric vehicle purchasers. This bill ensures that, if an electric vehicle battery degrades or fails, low-income earners are shielded from the replacement costs. • SB 100, the 100 Percent Clean Energy Act of 2018, by Senator Kevin de León (D-Los Angeles), will put California on the path to 100 percent carbon-free energy by 2045 with a hard-target of 60 percent by 2030. This measure will get us there by harnessing wind, solar and geothermal energy. It will spur clean-energy innovation, jobs and eliminate fossil-fired electricity that’s bad for our health and climate. • SB 835 and SB 836 by Senator Steven Glazer (D-Orinda) respectively, would make the great outdoors more enjoyable and healthier by banning smoking in state parks and beaches. • SB 957 by Senator Ricardo Lara (D-Bell Gardens) is one part equity and one part incentive. It incentivizes moderate and low-income drivers to participate the zero-emission vehicle market by expanding the high-occupancy vehicle lane sticker program for used ZEVs. The opportunity to access a carpool lane is a strong incentive for those who buy a ZEV but under current law stickers that expire after four years cannot be renewed. • SB 1013, the California Cooling Act, by Senator Lara would protect our health and air by preserving targets for reducing harmful super pollutants from refrigerants that were set under the Obama Administration but struck down by a federal court last year. Already signed into law by the Governor is AB 1796 by Assembly member Al Muratsuchi (D-Manhattan Beach) will make it easier for renters at rent-controlled apartments to install an electric vehicle charger at their assigned parking spot if one is provided. This entry was posted in Active Transportation, Clean Air, Clean Cars, Climate Equity and tagged California legislature, lobbyists, Third House.